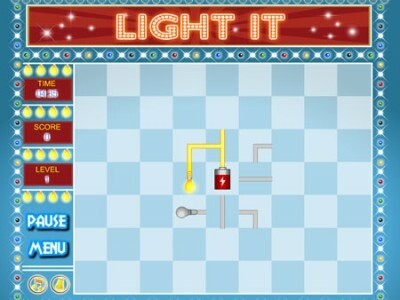 Connect all the light bulbs to the main battery. Click on the cables to change their positions. After you light all bulbs you will progress to the next level. Good luck.